Shares in Ascena Retail Group, owner of the Ann Taylor, Loft and Lane Bryant chains, have jumped more than 12% after the company said it is selling a majority stake in its Maurices women's clothing business for $300m. The deal is the first US investment for London-based private equity firm OpCapita, which is bringing in former Gap brand president and CEO Jeff Kirwan as the new executive chairman of Maurices. However, the value fashion retailer will continue to be led by George Goldfarb, president and CEO, and its current management team. Based in Duluth, Minnesota, with over $1.0bn in revenue in 2018, Maurices sells women's casual apparel, career wear, dressy wear, active wear, shoes, and accessories. Under the terms of the transaction announced today (25 March), Ascena will retain a "significant" equity interest in the business and will continue to provide brand support services for Maurices, including support for IT, supply chain, sourcing and certain back office functions. The move follows an ongoing review of Ascena's portfolio brands, operations and assets. "Structural changes in our industry have impacted a number of retailers. We have not been immune to these challenges," explains Ascena Group chairman and CEO David Jaffe. "In 2016, we initiated our Change for Growth plan, which is on track to deliver run rate cost savings of $300m to our company by July 2019. We have also identified, and developed plans for, an additional $150m in savings, which will drive operating margin rate expansion. "These efforts are expected to deliver a leaner operating model and enhanced competitive capabilities, but we must do more. To create value for our shareholders, we are planning deliberate actions to generate more profitable growth from those brands and operations in our portfolio that we believe have greater long term potential." The Maurices transaction is valued at around $300m, and Ascena expects to receive roughly $200 million in cash after expenses – which will be used to pay down its existing term loan balance and/or for reinvestment. "The sale of a majority interest in Maurices underscores the value that exists in our portfolio brands," Jaffe adds. For its part, OpCapita chief executive Henry Jackson believes "there is a real opportunity to increase the profitability of Maurices through hands-on operational improvement. We firmly believe that our consistent focus on operational discipline is a key differentiator embedded in the heart of our organisation, and one we look forward to implementing at Maurices. 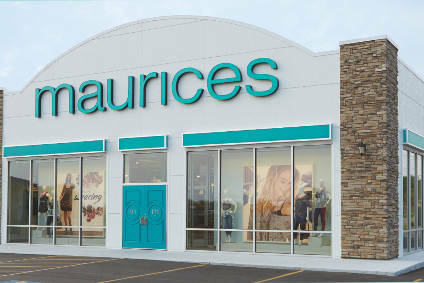 "As we establish maurices as an independent stand-alone company, we welcome the continued support of Ascena through their retained stake and the range of services they will provide." OpCapita most recent expertise in value apparel retail has been the turnaround of NKD, a European retailer operating 1,800 stores, which it sold to TDR Capital earlier this month. "Our management team is very enthusiastic about this next chapter for Maurices, which will enable us to realise our full potential and compete most effectively as a specialty hometown retailer," says George Goldfarb. OpCapita's world-class team brings extensive operating, retail, and financial capabilities and can provide substantial insights and day-to-day assistance that will help Maurices create enhanced value. "We have a clear vision for the future that we expect will strengthen our ability to create attractive opportunities for our associates, customers, and other business partners." The Maurices transaction is expected to be completed by early summer. Last week Ascena Retail Group said second quarter losses widened to US$72m, from $39m a year earlier, while revenue slipped to $1.69bn from $1.72bn. Analyst Susan Anderson at B Riley sees the shared services platform arrangement as a positive for Ascena "as it gives them the ability to pay down debt and focus on its core brands, and they will be able to continue working on cost savings and increasing operational efficiency across the platform. We believe there is potential for ASNA to extend their business services platform to third party companies in the future, which would provide an additional revenue stream to the company."